Longevity in home design is a precious gift, and your concrete paving blocks are the one thing you hope will perform well. Though it’s a much stronger and ostensibly durable material than asphalt, concrete will still crack and wear out over time. Once the instant fresh laid hot paving block starts the cooling process, it starts to age and becomes vulnerable to the wear and tear of use and environmental factors. 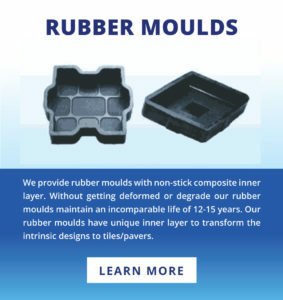 You can, however, significantly delay such effects with proper maintenance. Driveway paving blocks, along with other paved surfaces need good maintenance and care in order to have it last as long as possible. From the moment it cools, the pavers start to break down from exposure to oil, gas, heat and cold extremes, sun oxidation, salt corrosion, water penetration, pressure and impact damage, and other factors. When your concrete pavers are properly installed and maintained, it should last for decades. Certain environmental intrusions, such as aggressive growth of tree roots or earth shifting, can cause cracks, but otherwise, your patio floor will remain intact for years and years. Paver blocks typically survive longer than regular concrete because it has more protective coatings. They usually include a color hardener and a sealant applied to the surface, which protects it better from wear and abrasion. These tips are designed to be a handy reference to help you with preventative maintenance on your paved surfaces, whether they are residential or commercial. Many factors contribute to the proper maintenance of a concrete patio. This guide discusses some useful tactics for preserving yours. 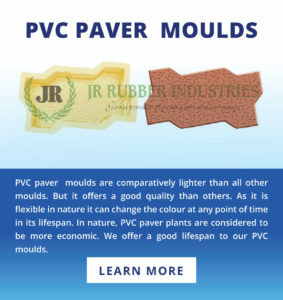 The less direct interaction your paving blocks have with the elements, the longer it will last. So you can extend the life of paver blocks by a few extra years with a canvas patio cover or pergola. You might desire this addition for looks and comfort anyways, so the protective aspect makes it more worth the investment. Take the time to carefully inspect your pavement on a regular basis and watch for any major cracks, fading of painted markings, signs that point to wear and tear and the signs that repair work may be needed soon. Keep your pavement clean; ideally, you should take a pressure washer or standard garden hose with a spray attachment and wash away dirt, debris, or other foreign contaminants every week or two. You can also use liquid dish soap and a broom to scrub away spills or bird poop, then rinse with a garden hose. If the concretegets stained by grease, food spills, or something else, try to clean up the spill as soon as possible. Seal coating definitely helps in slowing pavement deterioration and is useful on driveways, parking lots, and other surfaces. The sealer will also preserve the shine and color of the blocks. For maximum benefit, the standard recommendation for reapplication of sealer is once every two or three years, but if you notice the color fading or the sheen disappearing, you can have it reapplied sooner. The sealant on concrete paver is designed to resist strong elements and normal wear and tear. Certain heavy-duty chemicals can corrode it and eliminate the sheen prematurely, however. Products that contain ammonium nitrates and sulfates are particularly harmful because they’ll attack the concrete directly. All car and foot traffic must be kept off surfaces that have just been sealed for a minimum of 24 hours to allow ample curing time- this is critical to ensuring the paving blocks are not weakened or damaged from the start. 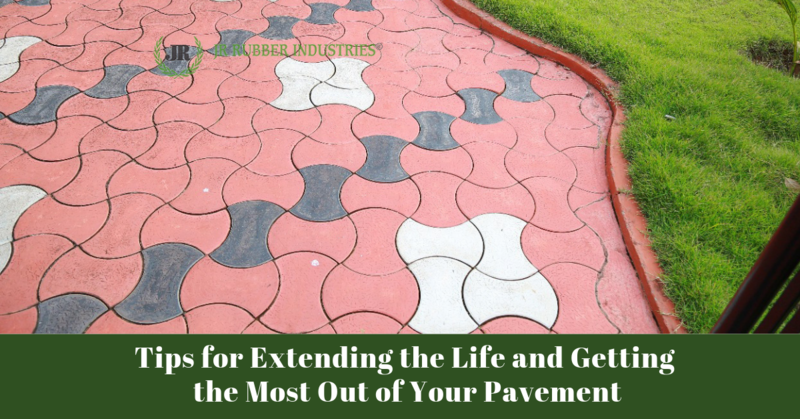 Proper attention to the tile cracks and early patching of minor issues will prevent them from growing into major headaches and will be cheaper in the long run as well and will extend the life of your pavement. Tree and bush roots can compromise the integrity of your concrete if you don’t manage it properly. Roots will grow beneath the paving bricks, push it up, and cause it to crack. You can avoid a substantial cost of repairing with preventive measures. Have the roots in your yard trimmed regularly so they don’t endanger your pavers. You might also need to remove trees that develop extensive root systems to avoid future problems. Fixing areas of ponding water as soon as possible reduces any chance of water seeping through and weakening the base and limits the formation of potholes and even worse the creation of sinkholes. 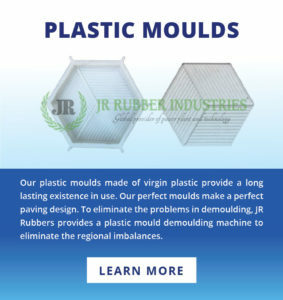 Whether you are looking for driveway paving or some other residential or commercial services, we, at JR Rubbers, offers an excellent range of Moulds for wet cast concrete pavers/tiles, paver machine, setting chemicals and color oxides and complete technical assistance for paver production with in-plant training and onsite assistance for production. Give us a call and we will be happy to discuss with you how we can help take care of all your paving, sealing, and finishing needs- whether big or small! We offer a range of paving options that our clients have come to love over the years. Call us today to get started and let us help you with all of your paving needs.